What's new in DocRead and DocSurvey 2.5? We have introduced many new features since our last major update (v2.0). 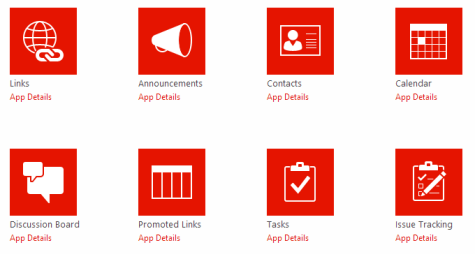 If you still wish to see what was new in our last major release please read 'What's new in DocRead 2.0 for SharePoint'. It is now possible to target a document (or list item) to an Active Directory Group directly from the 'Required' and 'Recommended' Audience fields. In addition to Active Directory groups, we have also given you the ability to assign a Reading Tasks to individual users which can reside in Active Directory or within your chosen FBA solution such as Extradium for SharePoint. You will also be delighted to know that you can still use SharePoint Groups and SharePoint Audiences as before. 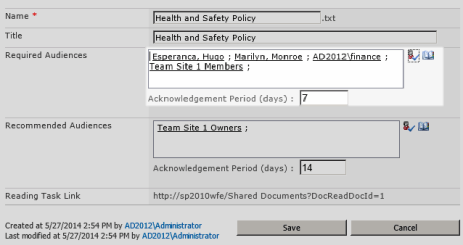 It's always been possible to ask users to 'read' and 'confirm' any document (stored within a document library), however, in v2.5 you can now also use DocRead with any SharePoint List. As you can imagine, this offers much more flexibility as you can now assign items saved in video asset libraries, Announcement lists, news items and Calender meetings (and many more). Many organizations also create their own custom SharePoint lists, which can also easily be configured to be used alongside DocRead for SharePoint. DocSurvey for SharePoint is an enhanced SharePoint Survey that allows you to create a Survey with questions that require the user to choose the correct answer. DocSurvey now offers the ability to ask non-scoring questions (e..g 'What is your favorite color?' alongside normal scoring questions (e.g. 'Who scored most goals in the last World Cup?'). This means that when a Survey is used in conjunction with DocRead it not only allows you to force the user to pass a test (before confirming), but can also serve as a way to gather feedback about the document. It is now possible to configure DocRead to always show the 'Confirmation' tab by default when an end-user views their Reading Task. 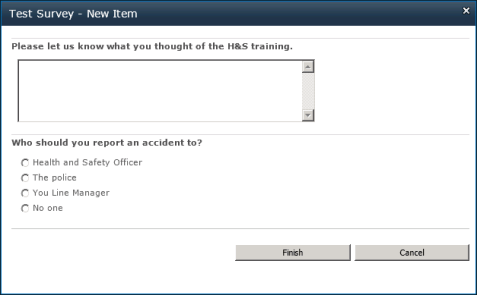 When this option is selected, it means that the user only has to make 2 simple clicks to confirm that they have read a document.